When the term “fake news” comes up, people usually think of social media posts with rather fantastic, implausible stories. 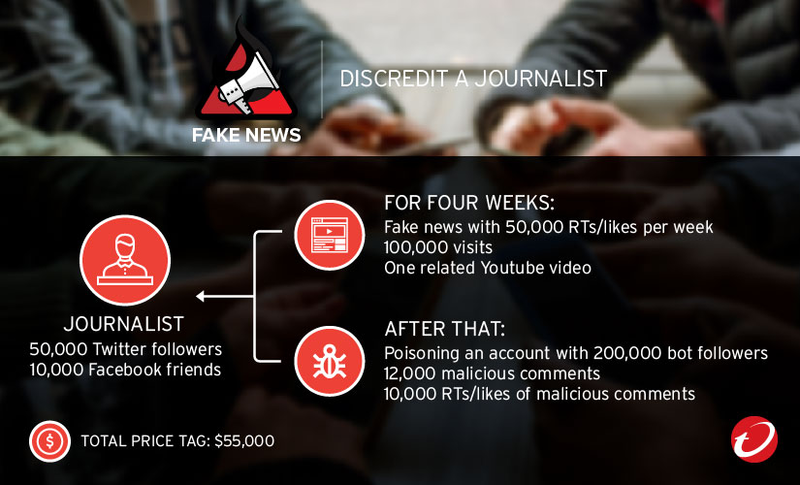 While posts shared on social media is its most visible aspect, there is so much more to fake news than exaggerated article titles on social media feeds. Fake news may seem new, but the platform used is the only new thing about it. Propaganda has been around for centuries, and the internet is only the latest means of communication to be abused to spread lies and misinformation. The fire triangle represents the three elements a fire needs to burn: oxygen, heat, and a fuel. Similarly, fake news requires three different items to succeed. 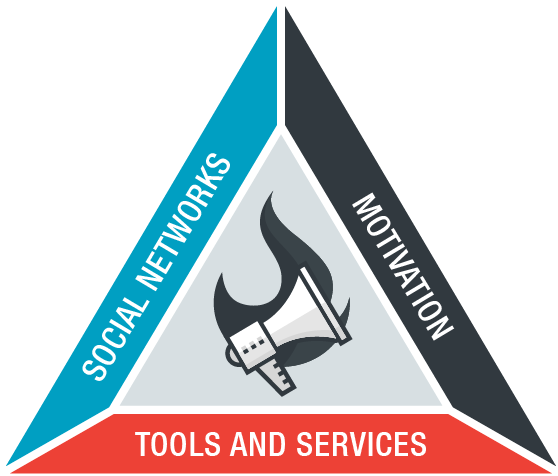 These collectively represent the Fake News Triangle: without any one of these factors, it is unable to spread and reach its target audience. 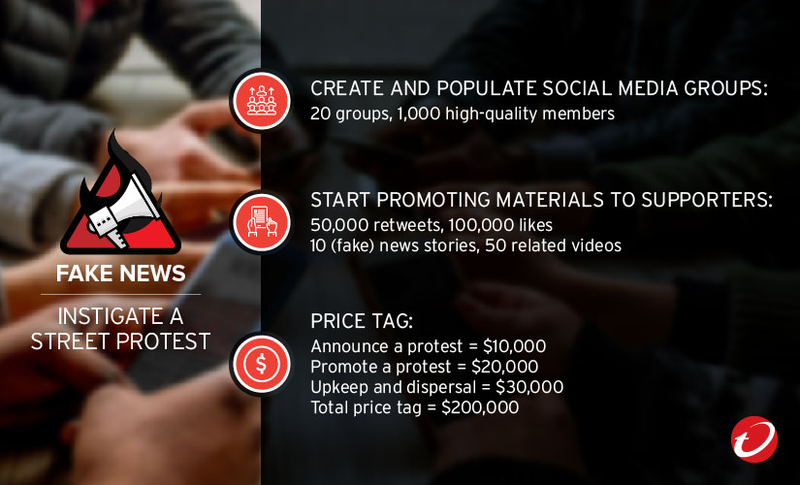 The first requirement: tools and services for manipulating and spreading the message across relevant social media networks, many of which are sold in various online communities from across the globe. A wide variety of tools and services are available; some are relatively simple (paid likes/followers, etc. ), while some are more unusual—some services promise to stuff online polls, while some force site owners to take down stories. In any case, the tools and services for social media promotion are readily available, both inside and outside the underground scene. Of course, for these tools to be of any use, social networks have to exist as a platform for spreading propaganda. With people spending more time on these sites as a way to get the latest news and information, their importance in spreading fake news cannot be underestimated. However, there’s a difference between simply posting propaganda and actually turning it into something that the target audience consumes. We show what kinds of techniques are used by spammers in order to lure users into viewing their stories. Studying social media also gives us a view of the relationships between bots and the recipients of social media promotion on Twitter. This gives us an idea of the scope and organization of the campaigns that attempt to manipulate public opinion. Finally, propaganda campaign always comes with the question: why. We discuss the motivations behind fake news: sometimes it’s simply a desire for monetary gain via advertising. In other cases, the goals can vary from the criminal to the political. Regardless of the motive, the success of any propaganda campaign will ultimately be based on how much it affects the real world. The specific tools for each campaign are not particularly different—bought followers/fans, likes, reposts, comments, videos. Some campaigns may find it worthwhile to buy “high quality” versions of these products, which are theoretically harder to detect by the social media networks. Governments, companies, and users are all waking up to how serious public opinion manipulation—as manifested in “fake news”—can be. Governments are starting to recognize that fake news is something that must be actively fought. Various government agencies are now setting up services to debunk stories that they consider to be false. They are also considering imposing regulations and punishing sites that do publish misinformation. The targets of these new regulations would include social networking services. This would make fake news very bad for business indeed, and so they’re taking steps to fight it. 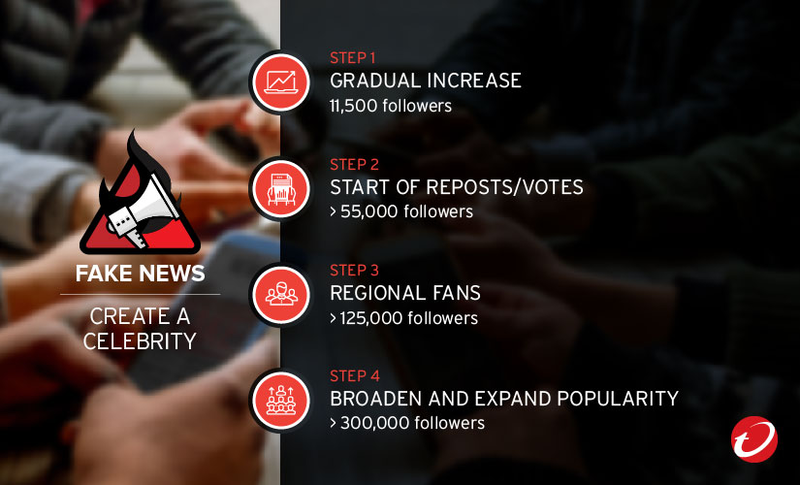 The steps being taken include the suspension of bot/suspicious accounts, adding features to allow users to report fake news, and hiring more personnel to help deal with these reports. In the end, however, it comes down to educated users. Our paper discusses some of the signs of fake news, in the hope that readers will be able to determine for themselves how to spot fake news. Our paper also discusses the psychology of fake news—what makes these campaigns work and how they’re able to convince people—in the hope that awareness of these techniques will empower readers to resist them. 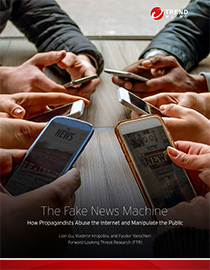 For more details on the aspects of fake news and cyber-propaganda, read the research paper: The Fake News Machine: How Propagandists Abuse the Internet and Manipulate the Public.